Home » Twitter » "Hashtag Activism"- Is It Working For Public Health? "Hashtag Activism"- Is It Working For Public Health? Last year on Facebook, my timeline was suddenly filled with status updates of just one word. Red. Black. White. "What is this?" I thought to myself. It turned out that it was a breast cancer awareness campaign. Facebook users were listing their bra colors to help prevent breast cancer. And there are tons of these public health campaigns all over social networking sites. "Like" our Facebook page to prevent cancer! "Re tweet" this message to prevent heart disease! For those of you familiar with my blog, you'll remember that I think "raising awareness" is the most counter-productive phrase used in our work. It is not specific enough to measure for change and (on its own) it will not change health behaviors. "If you “like” something, does that mean you care about it? It’s an important distinction in an age when you can accumulate social currency on Facebook or Twitter just by hitting the “like” or “favorite” button. The ongoing referendum on the Web often seems more like a kind of collective digital graffiti than a measure of engagement: I saw this thing, it spoke to me for at least one second, and here is my mark to prove it". I like that David brings up the question of engagement here. Many of these public health campaigns on social media just strive for "likes" on Facebook or "hits" on a website or "re tweets" on Twitter. And not that they mean nothing, but those measures are just the tip of the iceberg in measuring audience engagement. And audience engagement (beyond "raising awareness") is what could actually lead to public health activism, knowledge change, and ultimately behavior change. Leslie Lewis gives a great overview of Return on Engagement (ROE) on her blog "digital.good". According to Leslie, ROE measures tend to be more qualitative and measure message reach and spread. In addition to "likes", ROE also measures things like brand/campaign awareness, comments, shares, and returning visitors. I certainly do not think that all public health campaigns delivered via social media are ineffective. On the contrary, I think that social media is an incredibly powerful tool for public health. David Carr makes similar comments later in his article. Challenging his initial skepticism of web activism, he lists several recent "campaigns" that have been quite effective (e.g., the reversal of Susan G. Komen de-funding Planned Parenthood). However, to use social media effectively in public health, we must be strategic and we must evaluate. What is the goal of the campaign? (e.g., to drive traffic to your website; increase hotline calls; increase specific behaviors like breast self examination?). How will the campaign activities (logically) lead to the desired goal/outcome? Have you thought about evaluation before launching the campaign? Besides the ideas listed above, how are you measuring "audience engagement"? 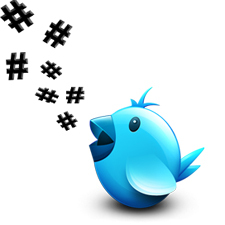 Related Posts : "Hashtag Activism"- Is It Working For Public Health?